For this studio photography assignment, we were supposed to shoot a food or beverage that might be used by a grocery store. The main goal was to make it look appetizing. I wasn't crazy about the juice shot, but it'll have to do for this assignment. The thing about studio photography is that you have one shot in the studio to get what you need. If none of the shots are good, you have to do the whole thing over again! 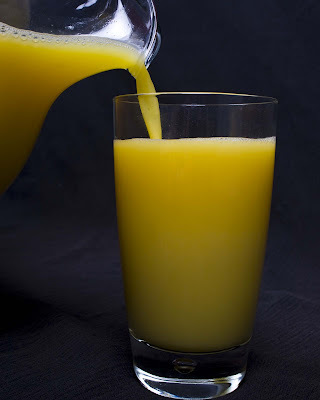 Since this is just a hobby for me, I'm satisfied with this plain old OJ shot. Six assignments down, only one to go!